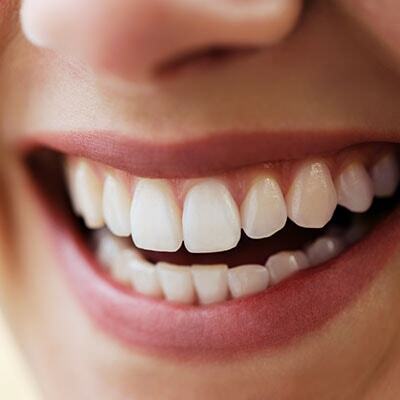 Treating periodontal issues to keep your smile healthy. 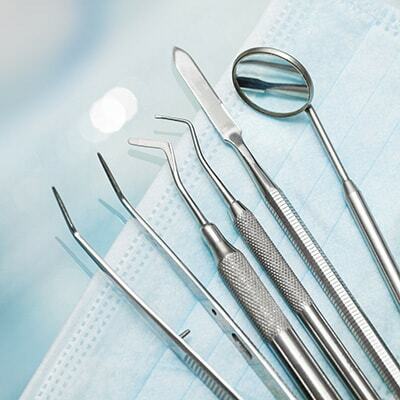 Dr. Mark Lavin’s practice provides a variety of surgical services for the treatment of periodontal issues. We pride ourselves on the fact that we are very conservative in our treatment recommendations and limit surgery to the areas where it is absolutely necessary. Select a photo for more information. After completing periodontal treatment, your periodontal disease will be under control. Dr. Lavin will provide a personalized maintenance program to ensure your gums and teeth stay healthy. Periodontal maintenance is an ongoing program and will be successful with consistent home oral care and regularly scheduled maintenance visits with your general dentist and Dr. Lavin. Daily brushing and flossing will minimize the chances of gum disease as it removes plaque, tartar, and other harmful bacteria from your smile. However, it’s not enough to stop periodontal disease. Visiting Dr. Lavin or your general dentist every six months removes hardened plaque that you won’t be able to remove, keeping your smile healthy. Your general dentist will oversee your overall dental health, including such dental needs as filling new or recurrent cavities or making changes in fillings, crowns or bridges. By keeping up with your periodontal maintenance plan that Dr. Lavin prescribes, you’ll experience many benefits. You can chew your favorite foods with more comfort while smiling and speaking with greater confidence. Plus, you’ll keep dental costs down by preventing future problems. Removal of plaque: Tartar above and below the gumline can result in serious periodontal disease. Unfortunately, proper brushing and flossing at home cannot remove all debris, bacteria, and deposits from the gum pockets. An experienced dentist and hygienist have the equipment and experience to catch and remove this potentially damaging buildup. 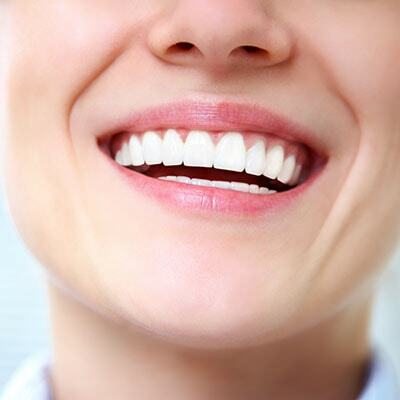 A healthier smile: Your smile’s aesthetics can dramatically decrease with stained and yellowed teeth. 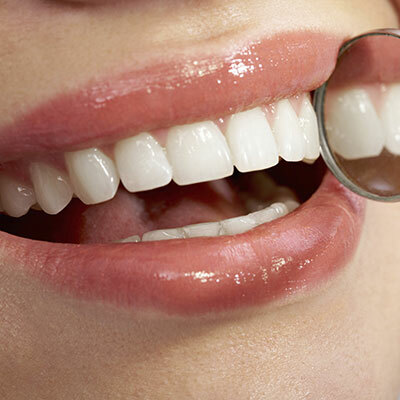 Prophylaxis can rid your teeth of these unsightly stains. Fresher breath: Bad breath (halitosis) is a general indication of advancing periodontal disease. Bad breath consists of a combination of rotting food particles and potential gangrene (a gum infection). By seeing us consistently for a cleaning, we can remove calculus and bacteria to improve bad breath and reduce infection. Prophylaxis can either be done with Dr. Mark Lavin or by your general dentist. 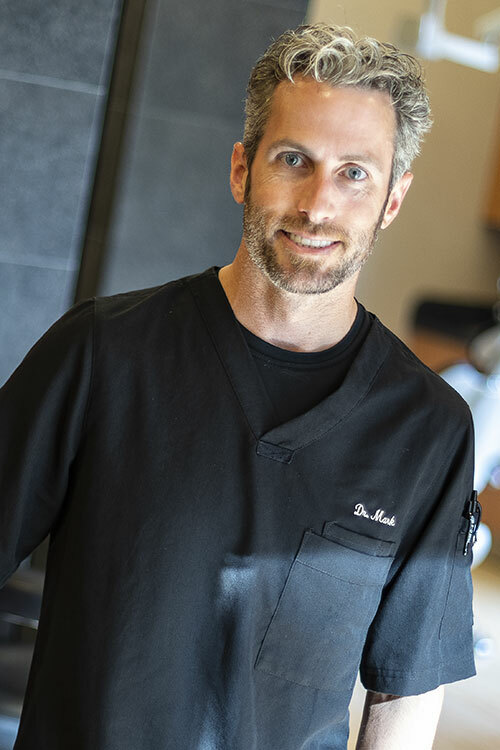 Since Dr. Lavin specializes and understands the full scope of your periodontal disease, it can be more beneficial to visit our Sioux Falls practice. We recommend seeing us twice annually for a dental cleaning and every 3-4 months for anyone who is more prone to periodontal disease. It should be noted that gum disease cannot be completely reversed, but prophylaxis is one of the tools Dr. Lavin can use to halt its progression effectively. The initial treatment of periodontal disease usually consists of a thorough dental cleaning called scaling and root planing. This non-surgical procedure is performed to remove etiologic agents such as dental plaque and tartar (calculus), which causes gum inflammation. Scaling and root planing is commonly used in cases of gingivitis and moderate to severe periodontal disease. Scaling: This part of the procedure involves removing calculus and plaque from tooth surfaces especially below the gumline, along with the tooth root. Dr. Lavin uses an ultrasonic scaling tool, which includes an irrigation process to deliver an antimicrobial agent below the gums to help reduce oral bacteria. Root Planing: This part of the procedure consists of smoothing out the tooth root to promote healing and prevent bacteria from easily colonizing in the future. Prevent oral and overall diseases: Research has proven bacteria from periodontal infections can travel through the bloodstream and affect other areas of the body, increasing your chances of heart and respiratory diseases. Scaling and root planing removes bacteria that cause these conditions. 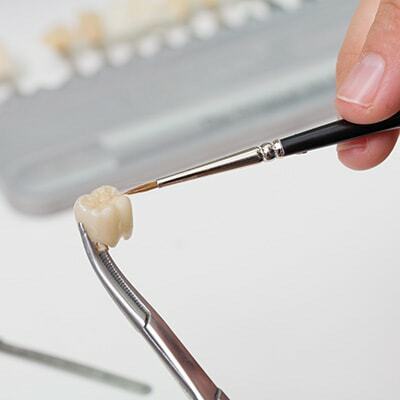 Prevent tooth loss: Scaling and root planing can prevent tooth loss. When you have severe periodontal disease, bacteria colonize to destroy gingival and bone tissue. This leads to tooth loss. Aesthetic benefits: Scaling and root planing remove stains from teeth to make the mouth more aesthetically pleasing and to reduce bad breath. According to the American Cancer Society, more than 30,000 cases of oral cancer are diagnosed each year, with more than 7,000 of these cases resulting in death. If caught early, oral cancer can be effectively treated. Luckily, Dr. Lavin offers annual cancer exams at his periodontics office in Sioux Falls, SD. Most oral cancers are linked with avoidable behaviors, such as smoking, tobacco use, and excessive alcohol consumption. Dr. Lavin can provide you with literature and options about quitting dangerous behaviors such as tobacco use. The oral cancer exam is painless. Dr. Lavin will search for any abnormalities by examining the face, glands, and neck for unusual bumps. If he sees any signs of oral cancer, he’ll show you what he’s seeing and discuss with you the next steps to take. 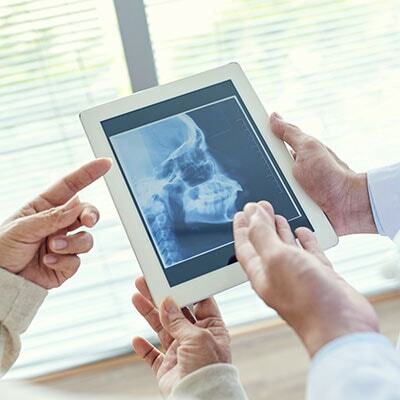 Bone Grafting: Restore jawbone deterioration. This kind of deterioration creates an unnatural looking indentation in your gums and jaw, making you look older. Are you a candidate for our cosmetic periodontal services? Schedule a consultation with Dr. Lavin for a comprehensive exam, and we’ll discuss your questions and concerns. This term is used to describe an unbalanced smile where the teeth are covered by excess gum tissue. Crown lengthening reshapes the gum tissue and bone around the teeth to balance your gums and teeth, creating an aesthetically pleasing smile. Crown lengthening takes about one hour to complete. However, it depends how many teeth are involved with the procedure. It’s usually performed under local anesthetic and involves separating the gums from the teeth. 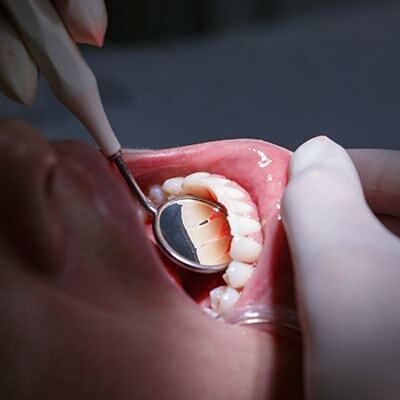 This allows the new crown’s edge to go below the gum tissue and create a proper fit to the tooth. Once Dr. Lavin is satisfied with the placement of your crown, he’ll clean the site and secure the new gum-to-tooth relationship. Your teeth will look longer, more balanced, and you’ll start seeing results right away. A follow-up will be scheduled 1-2 weeks after the procedure, so Dr. Lavin can ensure everything is healing properly. When your gums recede, gum reconstruction using grafting techniques is an option. There are different levels of gum recession you may be experiencing. When you have minor recession, some healthy gum tissue remains to protect the tooth, so modifying home care practices is necessary to ensure your smile stays healthy. Gum recession often results in root sensitivity to hot and cold foods as well as an unsightly appearance of the gum and tooth. With advanced gum recession, the tooth root is exposed, which can lead to root caries and root gouging. A gum graft is designed to solve these problems. Dr. Lavin takes thin tissue from the roof of your mouth to provide a stable gum foundation around the tooth. It’ll be placed to cover the exposed root and start the healing process. In the past, gum disease was treated by eliminating gum pockets and trimming away gum tissues through re-contouring uneven bone tissue. With the advancement in periodontics, there are more modern, comfortable ways to treat gum disease. One of those methods is guided bone and tissue regeneration. This procedure is used to secure endangered teeth or prepare your bite for dental implants. Dr. Lavin may recommend tissue regeneration when pockets appear in the jaw because of periodontal disease, which can promote the growth and spread of bacteria and infection. Dr. Lavin will clean the pockets and insert a membrane between the soft tissue and the pocket in the bone. The membrane covers the pocket and blocking the soft tissue from rapidly growing. That way the bone can begin “regenerating” itself. To ensure your procedure is a success, Dr. Lavin will discuss the importance of following a strict postoperative diet and careful oral care with you. Bone morphogenic protein (BMP) is an isolated protein that induces specific cells in our body to form new cartilage and bone. During surgery, BMP is placed onto a collagen sponge to simulate the cells to produce new bone. It jumpstarts the bone healing process and doesn’t require a donor site since it doesn’t harvest from the patient’s hip. Having BMP eliminates complications from the graft harvest site. Dr. Lavin would be happy to discuss all grafting options with you at the time of your consultation. Reducing Bacterial Spread: Studies have shown harmful oral bacteria can spread throughout the body and cause life-threatening conditions (heart disease, etc.). Osseous surgery reduces that risk for bacteria to spread. Preventing Bone Loss: Periodontal bacteria can lead to bone loss, causing your teeth to fall out. Osseous surgery seeks to stop gum disease before it progresses to bone and tooth loss. Enhancing the Smile: Periodontal disease can create unsightly issues with your mouth, such as brown gums, rotting teeth, and ridge indentations. Osseous surgery reduces harmful bacteria and restores your mouth’s former radiance. Improving Your Home Care: When your gum pockets deepen, it can be difficult to brush and floss adequately. 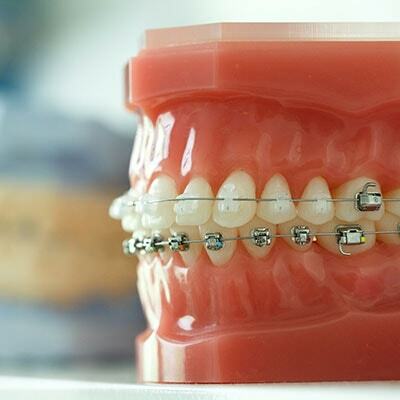 Osseous surgery reduces those pocket sizes, making it easier to brush and floss. 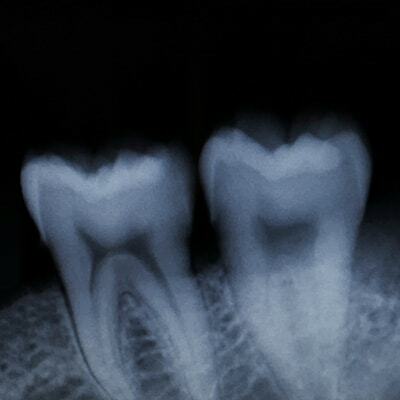 First, Dr. Lavin will access the bone and roots of the teeth by releasing the gum tissue from the bone. He’ll thoroughly clean the tooth roots, reshape the bone around your teeth, and place your gums back to their optimal position. He’ll provide pain medication and mouthwash after surgery during your recovery process. To ensure your procedure is a success, we’ll schedule follow-up visits and provide a maintenance program to avoid post-operative infection. Cosmetics: To make the teeth appear normal in size when you have a “gummy smile.” It can make your teeth appear longer and more proportional. Functional: Remove excess gum tissue that has formed from drug medications, including anti-seizure, organ transplant, and high blood pressure medications. Restore Bone and Gum Health: To shrink deep gum pockets, including some possible bone work. Dr. Lavin will gently remove the gum tissue. After the procedure, he’ll provide medication and schedule your follow-up visit to ensure proper healing. A frenum is a naturally occurring muscle attachment, normally seen between the front teeth (either upper or lower), connecting your inner lip to the gum. Sometimes the frenum can exaggerate the pull on the gum margin, resulting in gum recession. 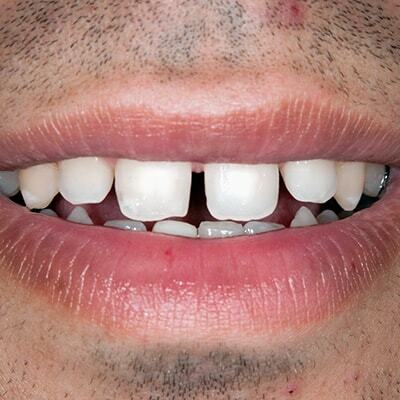 It could also prevent teeth from coming together, creating a gap between the front teeth. Dr. Lavin can prevent that by performing a frenectomy by surgically releasing the frenum. Either call us or send us a email below. Friday: By appointment and procedure only.